Sweet chestnut has been coppiced for centuries in Sussex for use as hop poles. But demand for hop poles is not what it used to be, which makes the springing up of a whole new industry around this wonderful material all the more welcome. I recently saw coppiced sweet chestnut in use at the Grand Parade campus of Brighton University’s Faculty of Art on an extension that was constructed in 2007 to the designs of Ian McKay of BBM Architects. A series of pillars as thick as trees have been crafted from sweet chestnut where, on close inspection, each clearly consists of many smaller pieces of wood glued together. They were made by Inwood Developments. 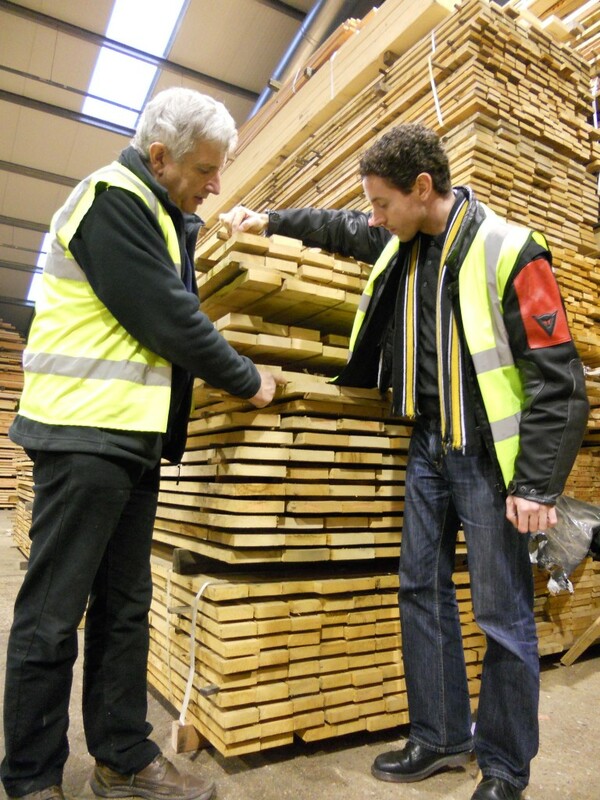 A trip out to their factory in Whitesmith near Lewes was the best way to learn more. 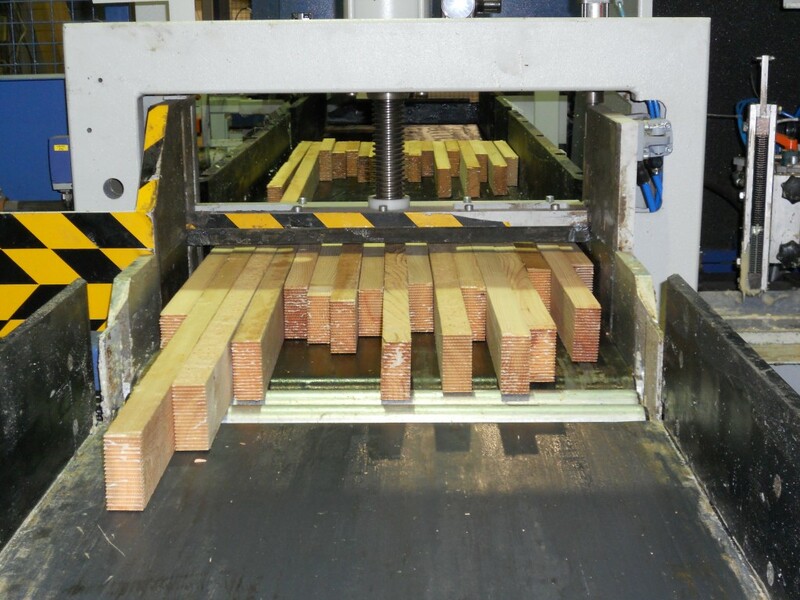 Inwood is headed by Nigel Braden, a pioneer in the production of high quality timber components from sustainable sources for the building trade. Sweet chestnut is a hardwood, like oak, and most important in this story is the way in which it responds to coppicing. A useful crop can be harvested every 25 years by chopping at ground level and then allowing new shoots to grow from the old roots. All sorts of products are made in the factory including cladding, beams and, indeed, frames of whole buildings. One particularly fine example is the 200m long Treetop Walkway at Kew Gardens which features a sweet chestnut handrail by Inwood. Incidentally, this was designed by Marks Barfield, the firm responsible for the London Eye and the proposed i360. Nigel’s latest gadget is a new Grecon finger-jointing machine which is able to join together small pieces of wood into much longer lengths. The engineered look of the finished product is extremely attractive. The whole process is remarkably friendly to the environment as carbon is essentially locked away in the wood for the life-time of the building which it serves. It is all carried out locally too so transport costs are low. Coppicing is a most appropriate use for land also. To top it off, there is little in the way of waste as the sawdust ends up as animal bedding and small off-cuts are burnt in a huge furnace to heat the factory. Thousands of hectares of sweet chestnut are under management in southern England. This is excellent news for our local economy, the construction industry and the countryside generally.